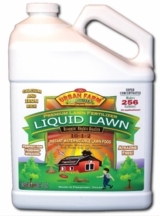 Urban Farm Liquid Fertilizers....Micro-Brewed Excellence!! No more blossom-end rot! * All formulas include large amounts of instantly available calcium for 100% complete nutrition. Expertly formulated and handmade. Want a custom nutrient with your label on it? Call us. Texas Tomato Food....for competition tomato growing. All-Purpose Vegetable. High nitrogen for all-inclusive gardens. Flowers & Blooms: Outstanding color, size, and aroma. Apples & Oranges: 100% complete Fruit and Citrus nutrient. Garden of Eden is our flowering nutrient on steroids. Explosive! Liquid Lawn: Calcium, Iron, high-nitrogen, hose-end and tank sprayer. finest rose fertilizer money can buy. Tree Life, because trees are soooo neglected. BioActive Organic Dry Mix. A true, hi-performance organic fertilizer. We craft our formulas by hand on a weekly basis. Bat guanos, Kelp, Earthworm Castings, Humic Acid, Vitazyme®, Amino Acids, and Hydroponic-grade minerals. Use Urban Farm Fertilizers in hydroponics, soil, drip systems, or hand-watering for complete nutrition and eye-popping yields. 1 quart makes 64 gallons of full-strength working nutrient. 1/2 gallon makes 128 gallons of full-strength working nutrient. One gallon makes 256 gallons of full-strength working nutrient. Urban Farm Fertilizers begin as hydroponic-grade nutrients that produce exceptional results in soil or hand-watered potted plants as well. We are now distributed through retail outlets in Texas. Please look for Urban Farm Fertilizer products at your favorite garden center or feed store. Call us if your local store doesn't have the formula you want. Thanks for your understanding. Tired of scraggly, sick-looking tomato plants that only produce 5 or 6 mediocre tomatoes? Or bell peppers that never look like the monsters in the supermarket? Never seen an eight foot tall Pruden's Purple with 40 tomatoes on it at once? How about a Michili Cabbage two feet tall and 10" in diameter? And finally, have you ever had an eggplant produce over 100 fruit? These are standard results with our Urban Farm Fertilizers. We produce high-performance, targeted formulas for professional results. The skinny on N-P-K percentages: Our NPK values look low compared to, say, a generic 20-20-20. That's because liquids weigh much more than dry powders, and NPK is based on "percentage of weight". For example: we have done side-by-side testing of nutrient strength with Urban Farm Liquid Fertilizers vs the bigger 20-20-20 dry powders in the business. Tablespoon-for-tablespoon in a gallon of reverse osmosis water, we are typically 15-20% stronger as measured by standard conductivity. True nutrient strength has much more to do with the quality and availability of the components used. Read about "blending" Urban Farm Fertilizers here. Thirty years of R&D, Urban Farm Fertilizers is our proprietary nutrient line, developed by us over many years of trials and tissue analysis. It is a proprietary one-part, super-concentrated nutrient containing all the essential elements vegetables require in the correct ratios. It produces exceptional results in soil, containers, and hydroponics. Anyone can slap a label on a package of vegetable fertilizer, hand it to the sales rep, and tell him to go sell it. Very few are testing their formulas 365 days/year in pursuit of perfection. We do. The difference is experience! Trust us when we say alot of formulas are just numbers that more often than not lead to bad surprises......because they haven't been challenged in real life conditions. We sell what we use, after multiple ongoing trials and regular tissue analysis demonstrate success. All Urban Farm Fertilizers are proprietary formulas and we make them right here by hand.. It is easy to make generic fertilizer. It takes years of trials and experience to make truly hi-performance nutrients! There is a huge difference. *Lack of blossom-end rot can't be guaranteed because there are several causes not related to calcium deficiency. However, the amount of calcium and instant availability of it make BER much less likely. All pictures on this site are of plants and vegetables grown exlusively on Urban Farm Fertilizers. No photos on this website have been staged or PhotoShopped. Heirloom Coustralee is a large, outstanding tomato! New Mexico Big Jims and Fantasy Red Bells! Roots like these tell you the plants are having fun. Urban Farm Fertilizers are also formulated to energize soil-grown and hand-watered container plants as well.